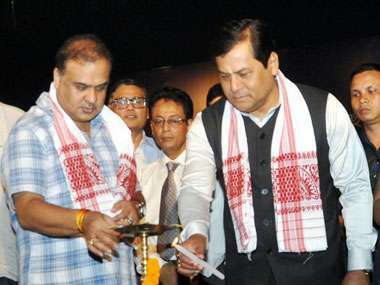 Assam chief minister Sarbananda Sonowal is scheduled to attend the 17th Bodoland Day celebration on Sunday at Bodofa Nwgwr in Kokrajhar as chief guest. Talking to reporters in Kokrajhar on Thursday, the chief of Bodoland Territorial Council (BTC) Hagrama Mohilary confirmed the participation of the Assam chief minister as chief guest while Assam finance & PWD minister Himanta Biswa Sarma will be attend as guest of honour in the celebration of Bodoland Day. Meanwhile, hectic preparation is on to celebrate the 17th BTC Accord Day with day long colourful programme. Mohilary said they are trying to gather around two lakhs people for the celebration. Award winning writers, sports persons and artists who brought laurels to the BTC region through their works will be felicitated during the celebration. Two important awards – Promod Chandra Brahma Literary Award, 2019 and Nileswar Brahma Cultural Award, 2019, instituted by the BTC administration will also be presented on the occasion.